Last week I attended a practical course in astronomy at the Dr. Remeis Astronomical Institute in Bamberg. The course took nearly two weeks, where the groups had to do some experiments and write protocols afterwards. It was not only work, but we also took a few great pictues. Booth pictures were shot with an 40cm Schmidt-Cassegrain telescope. 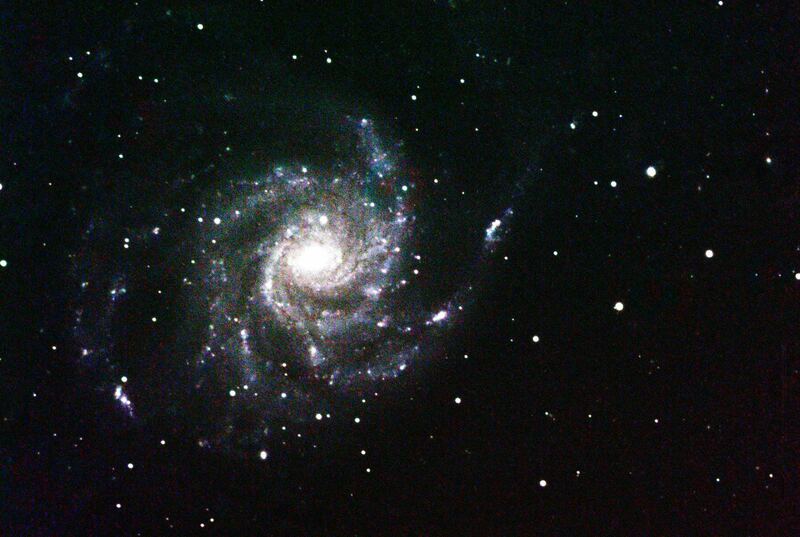 The first one ist the M101 (also called Pinwheel Galaxy). 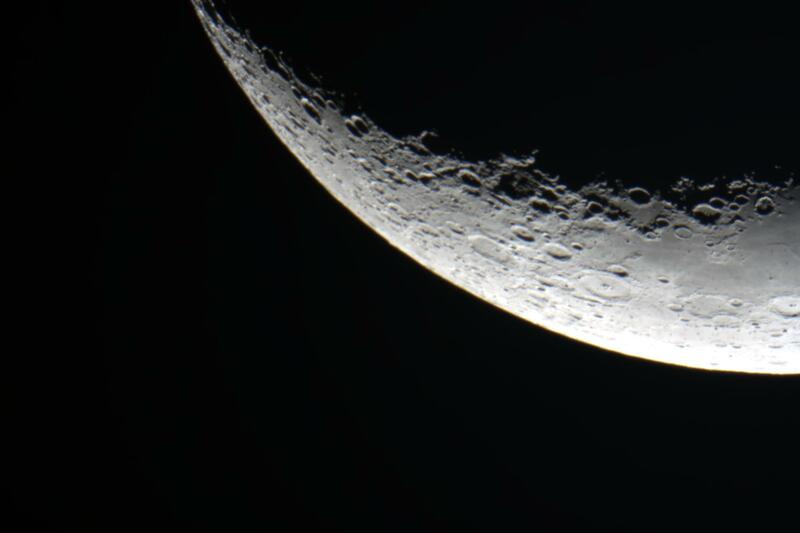 It was taken with an raw CCD camera with 11 Megapixel. We've done 4 pictures (Luminance, Red, Green, Blue) in total (plus some calibration pictures), which took nearly 2 hours. The ready assembled picture is really good (be aware that you cannot see M101 with your bare eye, because it is too dark). The second one was done with the EOS Camera of a friend (rupran) and shows (surprise) the moon. Last modified: 2019-01-14 16:43:32 by Christian Dietrich [id:/posts/Astro_2012.html] | Impressum | Es werden keine Daten gespeichert. | .